Instruction: Adekunle Ajasin University, Akungba-Akoko has completed her first batch admission for 2018/2019 session. Some candidates who met the cut-off points in the various programmes could not be considered for admission because they did not meet the minimum UTME and/or O’Level entry requirements. To be considered for admission during the second batch admission, candidates who have not been considered for admission during the first batch admission exercise, are advised to apply for change of course from their initial courses to other which they are most qualified on JAMB CAPS STRICTLY taken into consideration the Cut-off point and the minimum UTME and O’Level entry requirements, as contained in the following document. Candidates are STRONGLY advised to ensure they abide by the requirements and cut-off points to be considered for admission. Closing date for the change of course is Sunday, 11th November, 2018. 5 Fisheries and Aquaculture Chemistry, Biology/Agric Science and Mathematics/ Physics. History/Government and any other two subjects from Arts/Social Science. Five ‘O’ level credit passes to include History/Government, English Language, Mathematics and any Two subjects from Arts or the Social Sciences. 3 Performing Arts Lit. in English and two other relevant subjects. 4 Yoruba Yoruba and two other subjects in Arts or Social Sciences. Five ‘O’ level credit passes to include Yoruba, English Language, Mathematics and any Two subjects from Arts or the Social Science subjects. 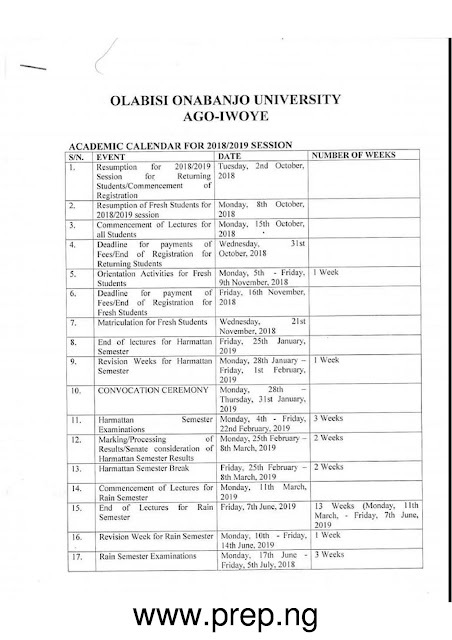 6 Linguistics/Yoruba Government and any two Arts subjects OR Yoruba Language and two Arts or Social Science subjects. Five ‘O’ level credit passes to include English Language, Mathematics, Yoruba and any Two from Arts or the Social Science subjects. 8 Religious Studies CRK/IRS and any two other subjects. History/Government and any other two subjects chosen from CRK/IRK, Lit. in English, French/Hausa/Yoruba, Geography/Physics, and Economics. 5 Yoruba Education Yoruba and any two subjects chosen from Lit. in English, CRK/IRK, French/Arabic and History/Government. 7 Chemistry Education Chemistry and two other subjects chosen from Physics, Biology and Mathematics. 13 Human Kinetics Education Biology and any two subjects. 14 Technical Education Any three of Physics, Mathematics, Chemistry, Technical Drawing. 15 Guidance & Counseling Any three subjects. Five ‘O’ level credit passes to include English Language, Mathematics and any other three subjects from Arts, Social Sciences or Science. 16 Early Childhood Education Any three subjects. Economics, Mathematics and one other subject. 18 Geography Education Geography and two other Social Science/Science subjects. Five ‘O’ level credit passes to include English Language, Mathematics and Geography and any other two from Social Science or Science subjects. 19 Political Science Education Government/History and two other Arts / Social Science subjects. Five Credit passes in English Language, Mathematics, Government/History and 2 other Arts/Social Science subjects. 21 Social Studies Education Any three of Economics, Geography, CRS/IRS, Government /History Five ‘O’ level credit passes to include English Language, Mathematics plus two Arts/Social Science subjects. 1 Law Any three Arts/ Social Science subjects. Five credit passes in English Language, Mathematics, Literature in English and any other two Arts/Social Science subjects. 1 Biochemistry Biology, Chemistry, Physics or Mathematics. Five credit passes in Biology, Chemistry, Physics, Mathematics and English Language. 2 Chemistry Chemistry and two of Physics, Biology and Mathematics. 3 Industrial Chemistry Chemistry, Mathematics and any of Physics/Biology/ Agricultural Science. Five credit passes in English Language, Mathematics, Chemistry, Physics and Biology/Agricultural Science. 5 Computer Science Mathematics, Physics and one of Biology, Chemistry, Agricultural Science, Economics and Geography. 6 Mathematics Mathematics and any two of Physics, Chemistry and Economics or Geography. Five ‘O’ level credit passes to include English Language, Mathematics, and any three from Physics/Economics, Chemistry, Biology/Agricultural Science. 7 Industrial Mathematics Mathematics and any two of Physics, Chemistry, Economics, Biology and Agricultural Science. 8 Geology Chemistry, Physics and Mathematics. 9 Geophysics Chemistry, Physics and Mathematics. 1 Accounting Mathematics, Economics and any other one from Geography, Commerce, Account and Government. Five credit passes in English, Mathematics, Economics/Commerce and any two (2) Subjects. 2 Banking and Finance Mathematics, Economics and one of Government and Geography Five Credit passes in English, Mathematics, Economics, one Social Science Subject and any other Subject. 3 Business Administration Mathematics, Economics and one other subject. Five credit passes in English, Mathematics, Economics and any other two from Government and Social Science subjects. 4 Criminology and Security Studies Three Arts or Social Science subjects Five ‘O’ level credit passes to include English, Mathematics, Economics and two other subjects from Social Science/Arts. 5 Economics Mathematics, Economics and any other Social Science subject. 6 Geography and Planning Sciences Geography and any other two subjects Five ‘O’ level credit passes to include English, Mathematics, Geography and any two Social Science or Science subjects. 8 Political Science Government or History and any other Social Science or Arts subjects. Five credit passes in English, Mathematics, Government/History and any other two Social Science or Arts subjects. 11 Sociology Three Social Science or Arts subjects Five credit passes in English, Government/History, Mathematics and any two Social or Arts subjects. 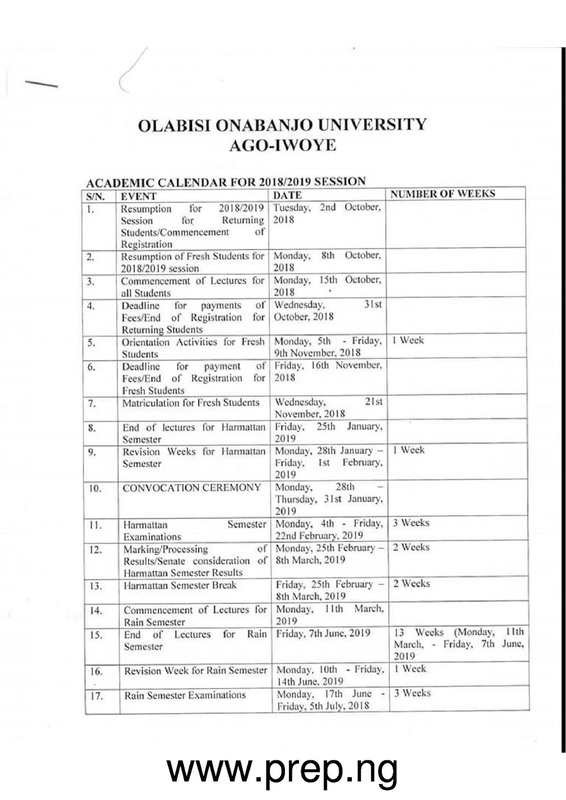 All new and returning students of Usman Danfodiyo University, UDUSOK in the 2018/2019 academic session are required to observe the following activities in order to successfully complete their registration in the University. You are required to pay the sum of N5,000.00 as Acceptance Fee (N3,000) and Screening Fee (N2,000). Note: Make sure you keep your invoice and receipt safely. You need them as part of the documents required for confirmation. At the next page, enter your JAMB/MATRIC Number and click Verify. This will verify your payment. Evidence of JAMB admission. This you must print from the JAMB Portal. Letter of Indigeneship from Local Govt. An electronic copy of your passport photograph (not more than 2mb). This MUST be of high quality on white background. Please note that this picture will appear in ALL your university records that require picture such as ID Card, Notification Letter, etc. Access the account creation page at http://admissions.udusok.edu.ng/. Fill all information correctly, read through and proofread the information you have provided, then click the create new account button at the bottom of the screen to create and submit your information to the Portal. Once the account is created successfully, a green message will be displayed at the top of the screen informing you about the successful creation of the record. Your username and password will be displayed on the screen. Carefully record these details. Pay attention to case sensitivity. You need the username and password to log back into the Portal. Some details and additional instructions are sent to the email address you provided. IT IS VERY IMPORTANT TO RECORD YOUR USERNAME AND PASSWORD AND HAVE A VALID EMAIL ADDRESS. YOU ARE STRONGLY ADVISED TO PRINT THIS PAGE. All students are required to pay their fees before they can continue with courses registration. If you are a new student, use the username and password you created during the creation of account. Returning students should use their existing login details. All students require UDUS and Remita invoices in order to complete their payment. A message will be displayed indicating whether your payment has been successfully verified or not. Once your payment has been successfully verified, you can proceed with the registration of courses. Click on Submit at the bottom of the page to complete your registration. 1. If you have not paid your fees or your payment was not successfully verified, you will not be able to register. The following message “you must pay your fees before course registration!” will be displayed. 2. In case of any difficulty, contact your Faculty IT Support Staff or your Department. After login to the MIS at http://mis.udusok.edu.ng, click on My Courses. This will open the “list of registered courses” page. Enter the session to print in the box provided and click on the Apply button. This will display the courses registered for the given session. You can then print the list. Students can add or drop courses anytime during normal registration or within the first two weeks of the second semester. Students can add/drop courses of the current session as well as previously unregistered courses, subject to maximum and minimum units of registration for the program. Adding/dropping by designated staff of the Department and/or IT Support Staff of the Faculty. In the case of students dropping courses as a result of previously missing grades, no add/drop fees will be charged. Click on add/drop link and follow the instructions on the screen. The management of the Kwara State Polytechnic (KWARAPOLY) has released the admission list for the 2018/2019 academic session. Candidates that participated in the KWARAPOLY 2018/2019 admission screening exercise can now check their admission status online. How to Check Kwara State Poly Admission List. As at the time of this publication, the Kwara State Polytechnic (KWARAPOLY) admission status is only accessible on JAMB CAPS portal. This is to inform all the candidates that participated in the Kogi State Polytechnic (KSP) 2018/2019 academic session post UTME screening exercise that their results are out. Kogi State Polytechnic Post UTME Result for the 2018/2019 academic year has been successfully uploaded online. Result accessing is also free. Check the PDF file below to check your name.